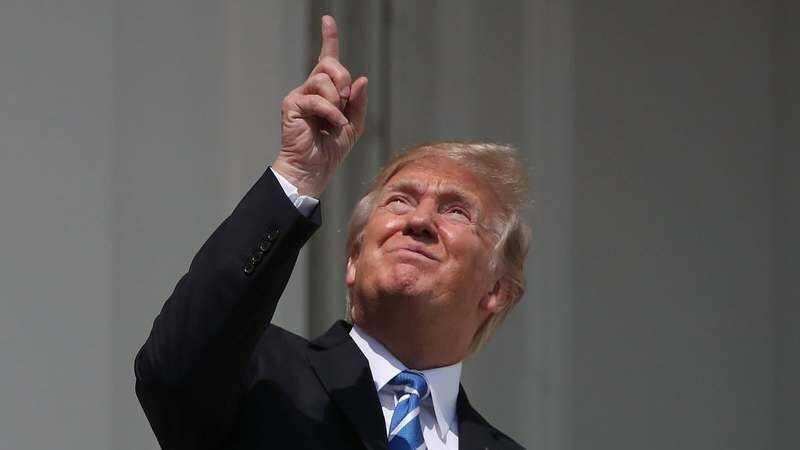 Yes, our devil-may-care commander in chief did the thing he is best at and ignored the absolute unyielding consensus recommendation of the world’s doctors, scientists, and subject experts, and looked directly into the blinding motherfucking sun during the eclipse. Perhaps he did not understand the rationale behind the specially tinted glasses, or he merely did not think it applied to him; perhaps he forgot, or thought himself stronger than the sun itself. It really doesn’t matter. It was fate fulfilling itself, because of course if there is one single thing that everyone knows about the eclipse—you shouldn’t look directly at it—Donald Trump would do it. Then do it a second time. There will be many more of these jokes, at least until he reaches his hand into a garbage disposal or something.